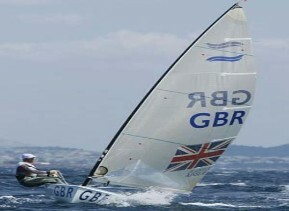 Kayak canoe and boat rowing equipment , marine and sailing supplies. 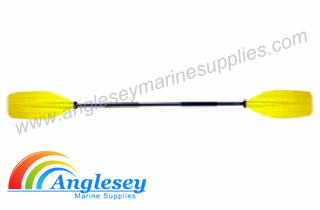 Boat paddle and boat rowing, Quality sailing goods, galvanised rowlocks in stock, Range of kayak paddles and rowing oars and galvanized oarlocks and rowlocks , Quality canoe paddles and dinghy oars, oar collars in 2 sizes, Range of Canadian paddles and jointed oars, economy air horns in stock. Canadian style rowing paddles made from heavily varnished deodar wood, with comfortable hand grip. Supplied in 3 different sizes. 3 foot(82cm), 4 foot(137cm), 5 foot(152cm). Please use drop down menu for choice. 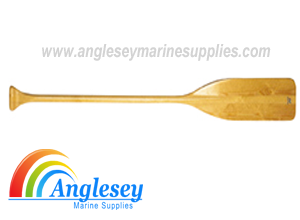 Quality wooden rowing boat oars laminated from selected timber with a shaped handle reinforced with a wedge. Finished with a special varnish. Sizes from 150cm long, Please use drop bar for size choice. Prices are per pair. A pair of quality economy jointed wooden rowing Boat oars, supplied in pairs and 165cm long. Boat oar holders paddle holders made from black polymer, can be mounted on the side or under storage lids or compartments. Keeps the paddle in place under all conditions. Asymmetrical double ended canadian kayak paddle made from black EDC finish aluminium. Two piece jointed shaft 3 button design which enables you to turn the shaft up to 60 degrees. Available in lengths of either 7 feet or 8 feet. 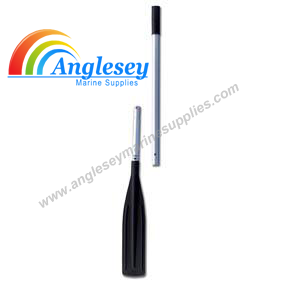 Anodised Jointed aluminium oars with plastic paddles. Very economically priced. 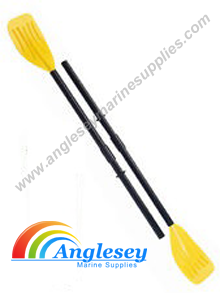 These lightweight oars are ideal for inflatables and dinghies. 180cm in length. Available in black. Price is per pair. 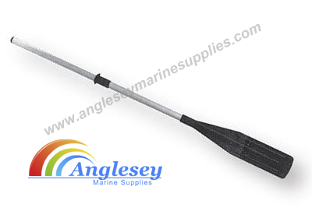 Low cost budget alloy boat oar paddle with plastic blade. 160cm long, sold singular. Anodised aluminium Boat oars with plastic blades. These oars are sold in pairs. They come complete with easy grip handles and oar collars. Available in two sizes 160cm in length or 185cm in length. Aluminium canadian Kayak paddle made from anodised aluminium with blade plastic blades. Also fitted with a comfortable hand grip. 25mm in diameter. Available in 3 sizes as follows, 1.2 metres, 1.05 metres, 1.52 metres. 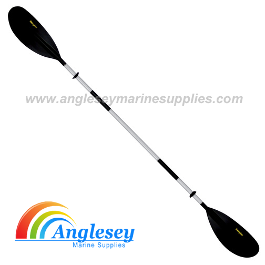 Double ended canoe Paddle kayak paddle oar, as a anodised aluminium shaft and black plastic paddles. Also fitted with comfortable black plastic hand grips. 230cm in length. Double ended canoe kayak paddle. 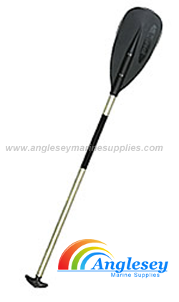 Manufactured with an anodised alloy shaft and yellow plastic paddles. 218cm in length. 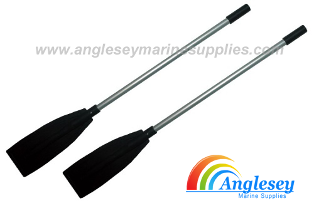 Economy plastic Dinghy oars ideal for small dinghys and inflatables. Can also be used as a double ended canoe paddle. 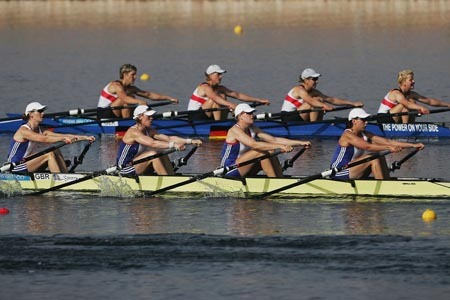 Each oar breaks down into 3 sections to make it easy to transport and store. 1.15 metres (45") in length. Sold in pairs. 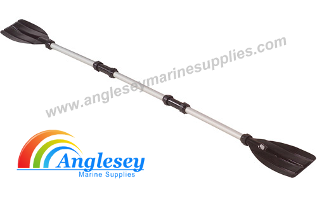 Quality aluminium telescopic boat paddles suitable for tenders and small rowing boats with marine grade aluminium shaft and polypropylene blades. Were room is a problem these paddles will telescope from 28” - 42”. 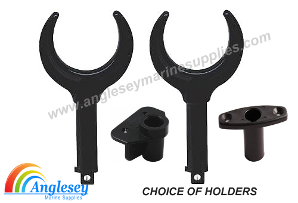 Plastic rowlocks oarlocks 57mm diameter openings available with either no holders, top holders or side mounted holders. Please use drop bar for choice. Prices from £8.99 £7.99 per pair. 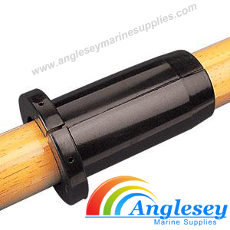 Plastic oar collars available in either 35mm inside diameter and also 45mm inside diameter. Prices from £3.99 £3.50 plus postage. 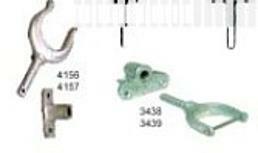 Galvanized oarlocks rowlocks 10mm 0r 12mm available with or without plates. Please use drop bar for choice options. 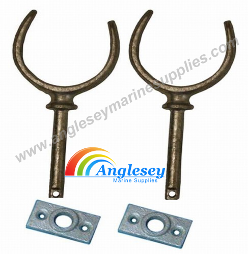 Economy galvanized rowlocks oarlocks 12mm diameter available with multiple plates options. 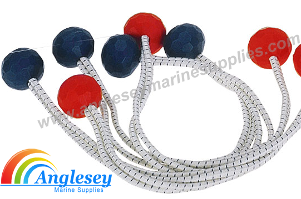 Economy Boat air horn, environmentally friendly non cfc, non flammable, ideal for marine, camping, or sporting events, sailing, yachting, boat races etc. Screw on canister.